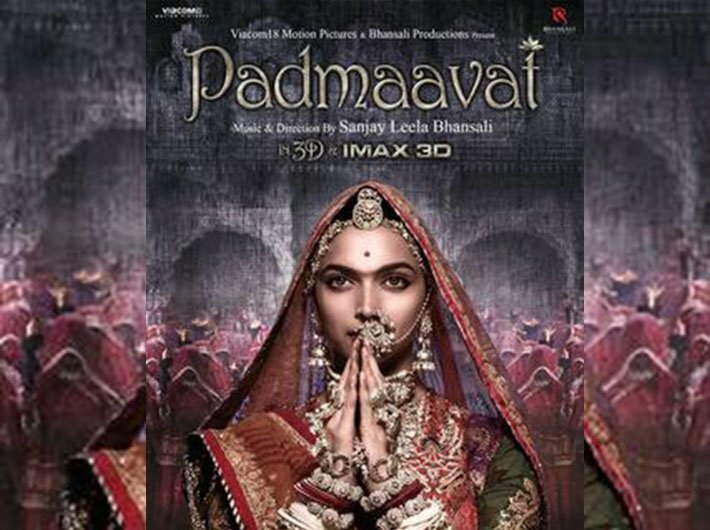 After prolonged controversy, the Hindi movie “Padmaavat” has finally been released and has been a roaring success in revenue terms (it is believed to have earned a whopping Rs 200 crore within less than a week). Ignoring the menacing semantics emanating from so-called Rajput outfits and self-proclaimed protectors of Rajputs’ vanity and pride, masses thronged cinema halls and watched the movie in large numbers. Many watched it not for its content but thanks to the political controversy it generated. And this controversy has exposed the hollowness of conventional politics. In the areas where Rajputs form a sizeable chunk of population, the state government attempted to dissuade theatre owners from screening the film. Vijay Rupani in Gujarat, Vasundhara Raje Scindia in Rajasthan, Manohar Lal Khattar is Haryana and Shivraj Singh Chauhan in Madhya Pradesh took the lead in proscribing the film under an informal state decree. In the BJP’s stable of chief ministers, the only exception was the saffron-clad Yogi Adityanath, who also presides over the Gorakhnath Math of a powerful Hindu tradition of ascetism, Nath Sampradaya. Ironically, he is a Rajput by caste. Apparently none of the conventional leaders – neither from the Congress nor from the BJP – could muster enough courage to challenge the antediluvian projection of a community and its women, and rubbish its content; rather than banning the movie. If “Padmaavat” is to be debated, its content would come across as a puerile fictionalisation of a myth passed as history in a manner that does not conform standards of modern civilisation. Conventional politics ignored this critical fact and went along with the mob seeking ban of the movie. 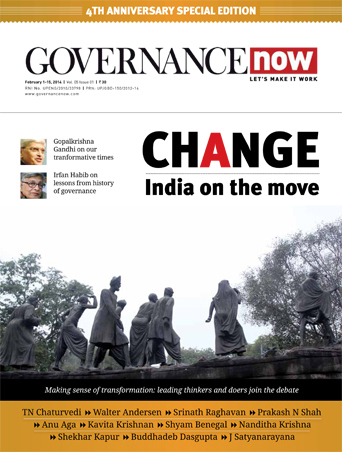 Since the BJP emerged as the ruling party across several states and at the centre, it owes greater responsibility that any other political party to explain the reason for the constrictive space in the conventional politics. Was it always like that in the past? Does the right-wing conventional politics offer narrower space than others? Perhaps those aware of the history of the rise of Bharatiya Jana Sangh (BJS), the progenitor of the BJP, would vehemently deny this. Let us recount some facts to bear this out. In the Sangh Parivar fold, Bhairon Singh Shekhawat, former vice president of India and former CM of Rajasthan, was arguably the biggest Rajput leader in its history. In 1952 he was one among the eight BJS MLAs who won on account of an endorsement from the Kshatriya Mahasabha, an outfit of feudal lords of the state. But the BJS, under the guidance of Deen Dayal Updhayaya, chose to favour the concept of Jagirdari abolition much against its own political interest. Shekhawat stood with the party line much against the wishes of feudal Rajput leaders and waged a lone battle for abolition of Jagirdari even though the ruling Congress was quite hesitant to carry out these reforms effectively. Though the BJS and Shekhawat stood isolated in Rajasthan and paid political price when six of its legislators defected, Deen Dayal Upadhayaya remained firm on taking a stance in favour of abolition of Jagirdari. Shekhawat’s stature in the party rose thanks to his unwavering principled stance. Shekhawat faced another acid test in 1987 when a woman named Roop Kunwar was literally egged on to commit ‘sati’ in Deorala village of Sikar district in Rajasthan. The 18-year-old woman was forced to sit with her husband’s dead body on the funeral pyre and burnt alive amidst the chants of “Sati Maiya ki Jai”. By that time Shekhawat had emerged as the tallest leader of the state and was reckoned within the Sangh Parivar as a most promising leader, almost on a par with Atal Bihari Vajpayee. 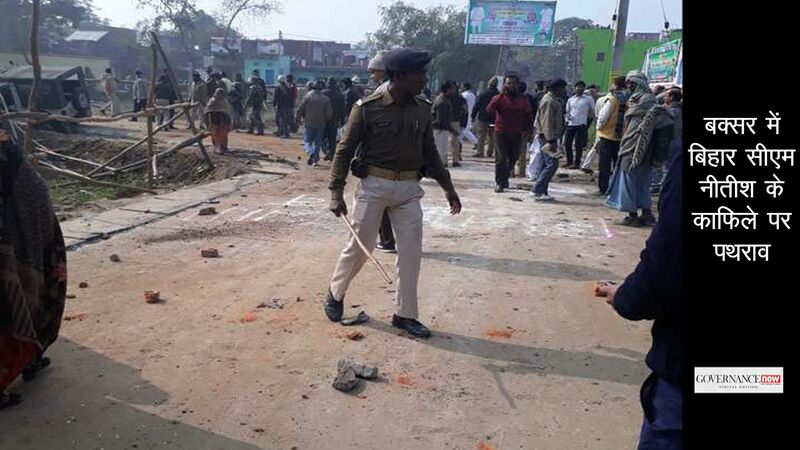 The incident triggered a controversy, with a group of Rajput leaders who saw the act in terms of their community’s valour and opposed the crackdown against villagers who perpetrated the crime. Once again, Shekhawat stoutly opposed the ‘sati’ tradition, even if it meant inviting the ire of a section of his community. Once again, the respect for him within the party went up by several notches after his principled stance. Unlike in the sixties and the seventies when the BJS had a limited presence and few leaders of national stature, today the BJP is replete with leaders boasting national stature, not to mention several chief ministers. The saffron fold has a plenty of Rajput leaders of front rank. For instance, Rajnath Singh, the union home minister, and the chief ministers of UP, Rajasthan, Himachal Pradesh and Uttarakhand belong to Rajput caste. None of them, however, spoke up against a lumpen section of leadership known as Karni Sena and succumbed to the mob pressure. An exception was Yogi Adityanath, an unconventional politician: he remained silent on the issue but did allow the screening of the movie in Uttar Pradesh and also effectively tackled the threat of mob violence. The “Padmaavat” controversy, in short, has exposed BJP’s Rajput leaders who are blissfully ignorant of their own party’s history and remain woefully inadequate to measure up to the stature of Shekhawat.